Remastered version of the main plotline of Dragonball Z. 1      1-01                24/May/10   Prologue to Battle! The Return of Goku! 2      1-02                24/May/10   The Enemy is Goku’s Brother?! The Secret of the Mighty Saiyan Warriors! 3      1-03                25/May/10   A Life or Death Battle! Goku’s and Piccolo’s Desperate Attack! 4      1-04                25/May/10   Run in the Afterlife, Goku! The One Million Mile Snake Way! 5      1-05                26/May/10   Wilderness Survival! A Moonlit Night Awakens Gohan! 6      1-06                26/May/10   The End of Snake Way! King Kai’s Bizarre Test! 7      1-07                27/May/10   The Battle with Ten-Times Gravity! Goku’s Race Against the Clock! 8      1-08                27/May/10   Shenron Appears! The Saiyans Arrive Sooner than Expected! 9      1-09                01/Jun/10   Yamcha’s Struggle! The Terrible Saibamen! 10     1-10                02/Jun/10   Sit Tight, Chiaotzu! Tien’s Screaming Tri-Beam! 11     1-11                03/Jun/10   Will Goku Make it in Time?! Three Hours Until the Battle Resumes! 13     1-13                08/Jun/10   The Power of the Kaio-Ken! Goku vs. Vegeta! 14     1-14                09/Jun/10   An All-Out Kamehame-ha! Vegeta’s Terrible Transformation! 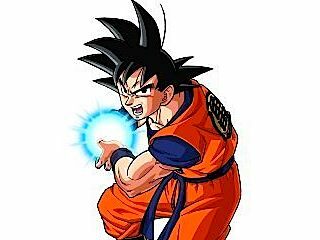 15     1-15                10/Jun/10   Goku on the Ropes! Pin Your Hopes on the Spirit Bomb! 16     1-16                14/Jun/10   Defeat the Invincible Vegeta! Work a Miracle, Gohan! 17     1-17                15/Jun/10   Dawn of a Fierce Battle! The Star of Hope is Piccolo’s Homeland! 18     1-18                16/Jun/10   The Ship Resting in Yunzabit! Time to Blast Off for Planet Namek! 19     1-19                17/Jun/10   A Powerful New Foe! Frieza, Ruler of the Universe! 20     1-20                21/Jun/10   The Rebellion Against Frieza! Vegeta’s Burning Ambition! 21     1-21                22/Jun/10   Protect the Dragon Balls! The Namekians’ All-Out Attack! 22     1-22                23/Jun/10   Dodoria’s Terrifying Chase! A Truth Revealed to Vegeta! 23     1-23                24/Jun/10   Vegeta’s Covert Maneuvers! A Tragic Assault on the Namekians! 24     1-24                28/Jun/10   Friends Reborn! Zarbon’s Hideous Transformation! 25     1-25                29/Jun/10   Power Up, Krillin! Frieza’a Mounting Apprehension! 26     1-26                30/Jun/10   The Scheme is Shattered! Vegeta Strikes Back at Zarbon! 28     1-28                07/Jul/10   The Countdown to Battle Begins! Enter, the Ginyu Force! 29     1-29                08/Jul/10   First Up for the Ginyu Force! Guldo’s Time Freeze! 30     1-30                14/Jul/10   The Nightmare Recoome! Come Out and Play, Vegeta! 31     1-31                15/Jul/10   Goku Arrives at Last! Take Down the Ginyu Force!" 32     1-32                21/Jul/10   The Star Player Appears! Ginyu vs. Goku! 33     1-33                22/Jul/10   Full Power, Goku! Captain Ginyu’s Desperate Attack! 34     1-34                28/Jul/10   Surprise! Goku is Ginyu and Ginyu is Goku?! 36     2-01                06/Sep/10   Frieza Closes In! Mighty Porunga, Grant Our Wish! 37     2-02                20/Oct/10   A Nightmare Transformation! Frieza's Power Level: One-Million?! 38     2-03                21/Oct/10   Frieza Bares His Fangs! Gohan's Overwhelming Attack! 39     2-04                27/Oct/10   Piccolo Reborn! Frieza's Second Transformation! 43     2-08                10/Nov/10   Goku vs. Frieza! The Super Showdown Begins! 44     2-09                11/Nov/10   A Boundary-Pushing Brawl! Goku, Frieza, and Ginyu Again?! 47     2-12                27/Nov/10   Awaken, Legendary Warrior! Goku the Super Saiyan! 48     2-13                27/Nov/10   The Angry Super Saiyan! Goku Throws Down the Gauntlet! 49     2-14                16/Dec/10   Avenge the Fallen, Goku! Countdown to the Planet's Destruction! 51     2-16                05/Feb/11   Goku's Furious Roar! A Last-Minute Resurrection Wish! 52     2-17                09/Feb/11   Duel on a Vanishing Planet! The Final Showdown! 53     2-18                10/Feb/11   Goku's Final Attack! Countdown to Planet Namek's Destruction! 54     2-19                16/Feb/11   Goku Vanishes Into Space! Welcome Home, Super Warriors! 55     2-20                17/Feb/11   There is Planet Earth, Father! Frieza and King Cold Strike Back! 56     2-21                23/Feb/11   I Will Defeat Frieza! Another Super Saiyan! 59     2-24                08/Mar/11   Undetectable Monsters! The Androids Appear! 61     2-26                10/Mar/11   No Victory for Android 19! Enter Super Vegeta! 62     2-27                16/Mar/11   Piccolo's Assault! Android 20 and the Twisted Future! 63     2-28                17/Mar/11   The Hunt for Doctor Gero! Discover the Hidden Laboratory! 64     2-29                30/May/11   Number 17 and Number 18! The Androids Awaken! 66     2-31                09/Jun/11   The Time For Reunification Has Come! Piccolo's Unshakeable Resolve! 67     2-32                16/Jun/11   Another Time Machine? Bulma Uncovers a Mystery! 68     2-33                23/Jun/11   The Monster Goes Into Motion! Strike of the Super Namekian! 69     2-34                30/Jun/11   I Am Your Brother! The Monster with Goku's Energy! 70     2-35                06/Jul/11   The Dizzying Deception and the Daring Escape! Defeat the Android Cell! 71     2-36                07/Jul/11   The Hunt for Cell is On! Goku, Back in Action! 73     2-38                14/Jul/11   The Super Namekian Powers Up! Piccolo vs. Android 17! 74     2-39                20/Jul/11   Run, Android 17! Piccolo's All-Or-Nothing Struggle! 75     2-40                21/Jul/11   Power Unknown! Android 16 Breaks His Silence! 76     2-41                27/Jul/11   Tien's Desperate Attack! Save Your Friends, Goku! 77     2-42                28/Jul/11   Beyond Super Saiyan! Vegeta Confronts the Monster Cell! 78     2-43                03/Aug/11   Cell on the Verge of Defeat! Krillin, Destroy Android 18! 79     2-44                04/Aug/11   The Battle Turns for the Worst! Cell Attacks Android 18! 80     3-01                10/Oct/11   The Tables are Turned! Witness the Power of Perfection! 82     3-03                20/Oct/11   The Strongest Super Saiyan! Trunks' Power Unleashed! 83     3-04                26/Oct/11   Cell Invades the Airwaves! Announcing, "The Cell Games"
86     3-07                03/Nov/11   A New Guardian! ; The Return of the Dragon Balls! 88     3-09                10/Nov/11   Showdown! ; Cell vs. Goku! 89     3-10                16/Nov/11   Battle at the Highest Level! ; Goku Goes All Out! 90     3-11                17/Nov/11   The Opening Round Is Concluded! ; Goku's Moment of Decision! 91     3-12                25/Nov/11   Get Angry, Gohan! ; Release Your Hidden Power! 92     3-13                19/Dec/11   Tears For An Android! Gohan's Inner Rage Bursts Forth! 93     3-14                20/Dec/11   Unleash the Warrior Within! Gohan Takes the Offensive! 94     3-15                21/Dec/11   Perfection's End! A Fury, Beyond Super Saiyan! 95     3-16                22/Dec/11   A Hero's Sacrifice! Last Chance to Save the World! 96     3-17                23/Dec/11   Combine Your Strength! The Final Kame-hame-ha! 98     3-19                08/Feb/13   Peace for the Future! The Spirit of Goku is Forever!